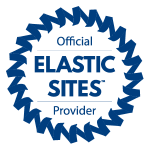 If you switch or upgrade to a dedicated server or VPS from regular hosting just to get more resources, then Elastic Web Hosting is for you! 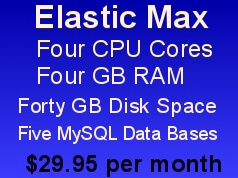 Elastic hosting is the next generation, money saving hosting model that addresses the needs of those who don’t need root access, but do require more CPU and RAM to ensure optimum website performance, and can also easily adjust those resources as your web sites grow. Elastic Sites ensure that you get all the resources available in a VPS, but in an isolated shared environment that is easy to manage, much like a shared hosting account but with your own dedicated resources. Save money too from not having to buy a cpanel licence or install firewalls, and save time from not having to carry out those system admin chores! 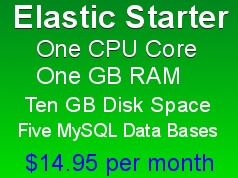 Our Elastic hosts service runs on a server powered by the CloudLinux OS. This system isolates each customer into a separate Lightweight Virtualized Environment (LVE), which allocates and limits server resources; like RAM, CPU, and connections. These limits improve server stability because other customers cannot use more than they are allocated and bring down your shared server. 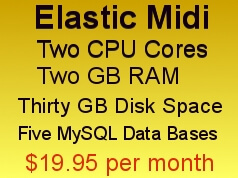 All accounts are hosted on fast SSD drives and employ the latest HTTP/2 technology. And if you need your own version of PHP for a particular website or software, no problem as multiple PHP versions are available to choose from in your cpanel control center.